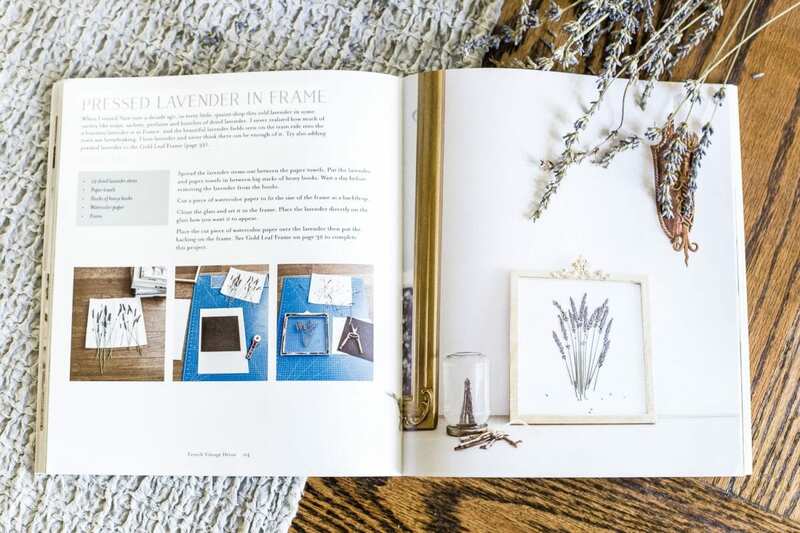 A step-by-step tutorial for making vintage French style pressed lavender art using a thrifted frame, plus a preview of the book French Vintage Decor. Not sure if you’ve noticed yet or not, but moving into our house a year ago has somehow brought out a new love of French style for me. 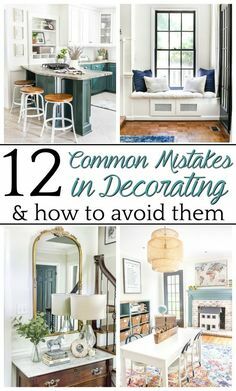 I guess my thought process has been I still like the vintage, slightly rustic look, but I can’t really turn our very traditional home into a primitive farmhouse. 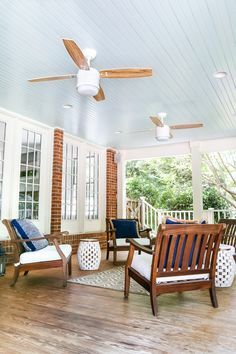 Shiplap is not happenin’ here. Somehow the French vintage look has been the best of both though… refined, upscale, and traditional mixed in with chippy, antiqued, patina finishes. And figuring out ways to pull it off with thrift finds is just the extra fun part. 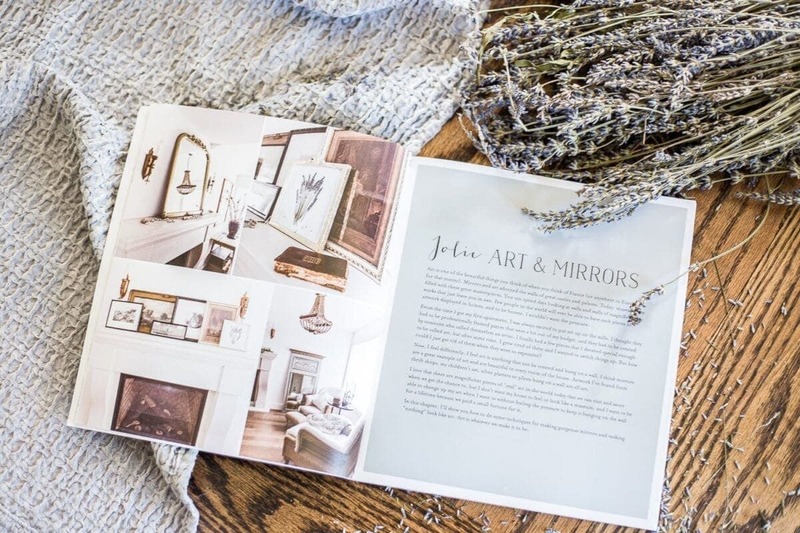 If you’re in the same French decor lovin’ boat and don’t already follow my super sweet friend Jamie Lundstrom from So Much Better With Age, you would be head over heels for her blog. 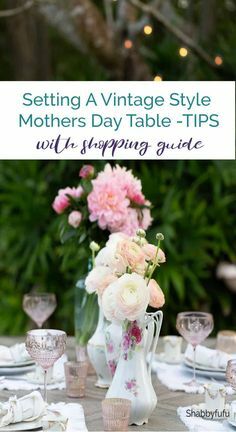 She just finished writing a book called French Vintage Decor that releases on June 12th and is chock full of thrifty DIY decorating ideas for adding the style to your home. I’ve already found about 10 different projects I want to try from it. But this frame I got at the thrift store for $5 was already hanging around so… when in Rome… or Paris. 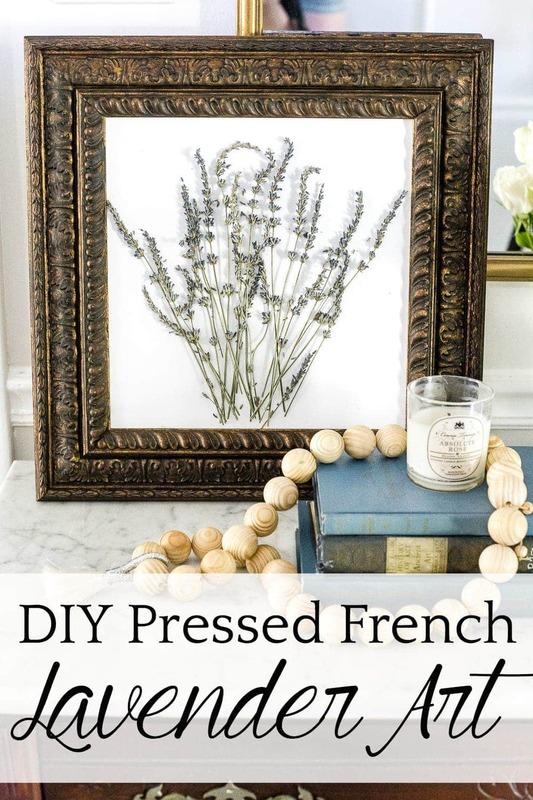 Jamie had this idea for pressed lavender art in a frame, so I thought I’d give it a shot. I didn’t have any fresh lavender, but the dried stuff worked just fine. And my frame didn’t have glass, so I improvised a little bit. 1. 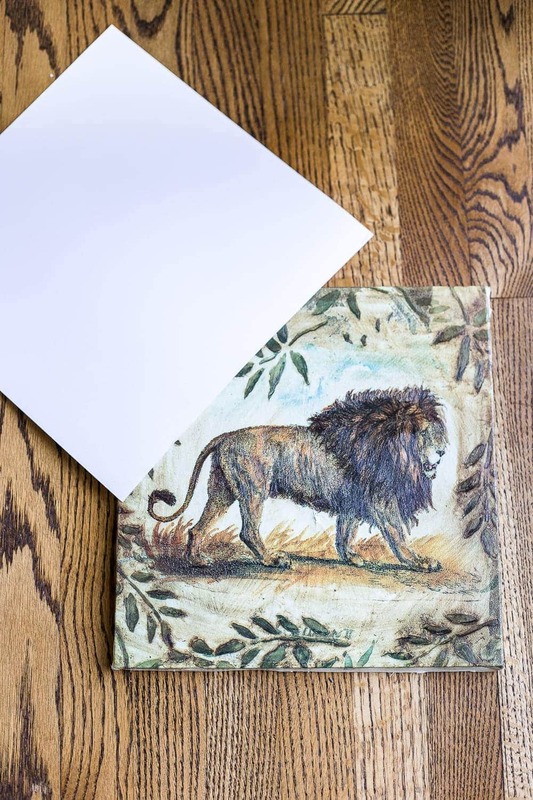 I pulled the canvas out of the frame first, sprayed the front with the adhesive, and smoothed down the scrapbook paper. 2. 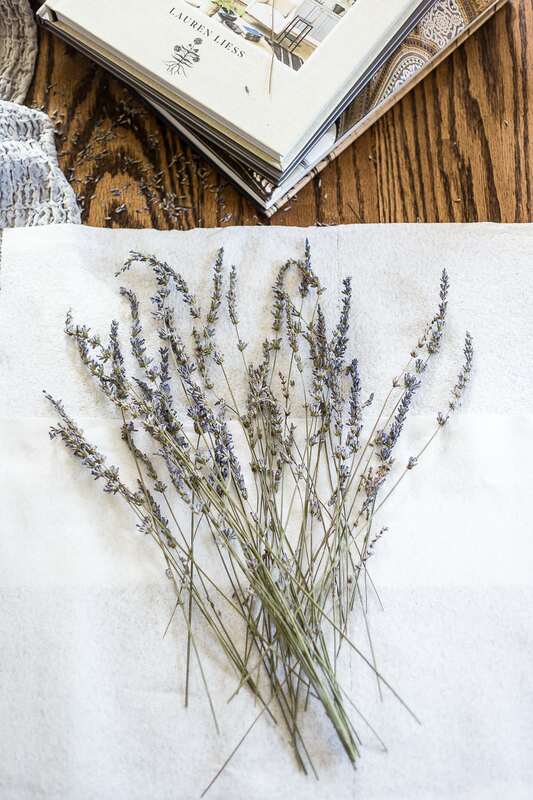 I picked out a few stems of lavender, laid them on a paper towel, and pressed them overnight by placing a couple of heavy books on top. 3. 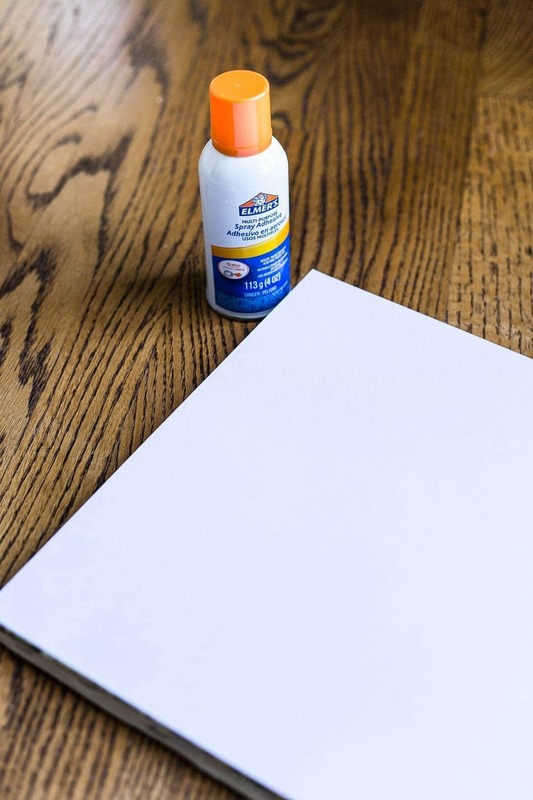 To stick them to the scrapbook paper covered canvas, I coated it with more of the spray adhesive and placed the lavender stems where I wanted them. I sprayed adhesive on top of the lavender too to help it stick. 4. Then just placed the canvas back in the frame and displayed it on our foyer chest. So pretty! And without glass on the front of the frame, it even smells like pretty French lavender in our foyer now. 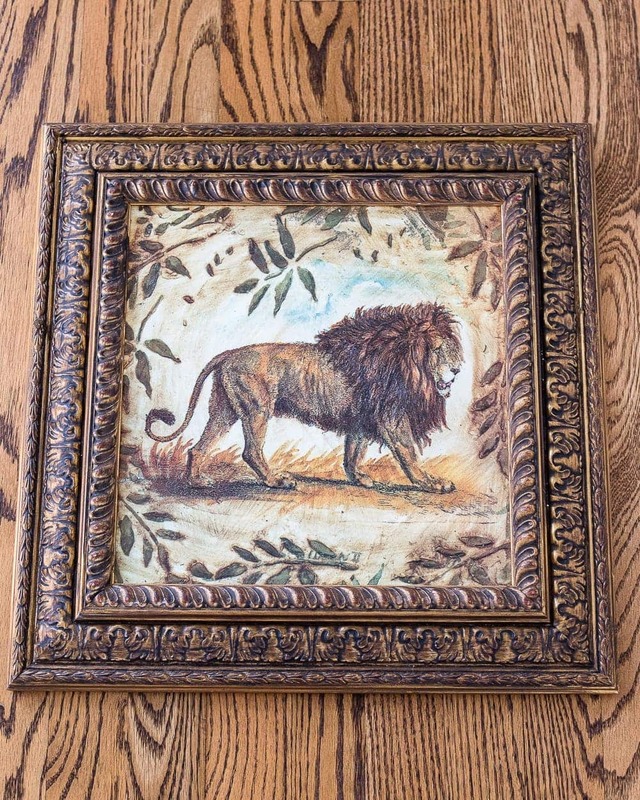 I have another frame similar to this one from the thrift store that I might give the lavender treatment too. They might look great as a set on a wall somewhere eventually once I figure out the perfect spot. I still have plenty of dried lavender leftover from this one, so it looks like more French lavender projects are in my future. 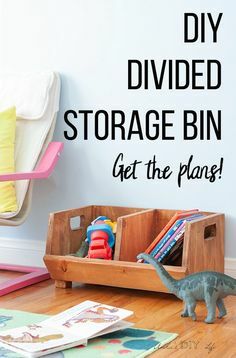 There are so many other projects in Jamie’s book that I’m hoping to try, and so many of her ideas use everyday items I see at the thrift store all the time anyway. 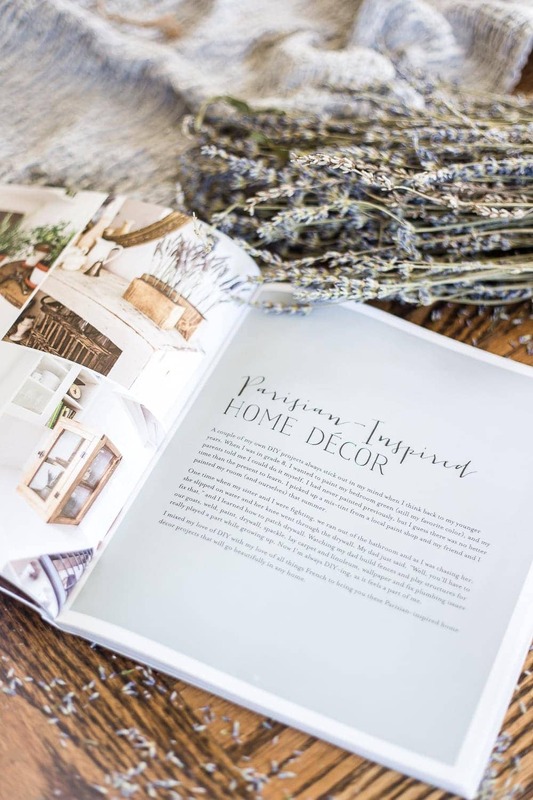 If you want to pick up a copy of the French Vintage Decor book, you can snag it here. Or if you want to check out Jamie’s blog for all kinds of Frenchy inspiration, you can visit So Much Better With Age here. 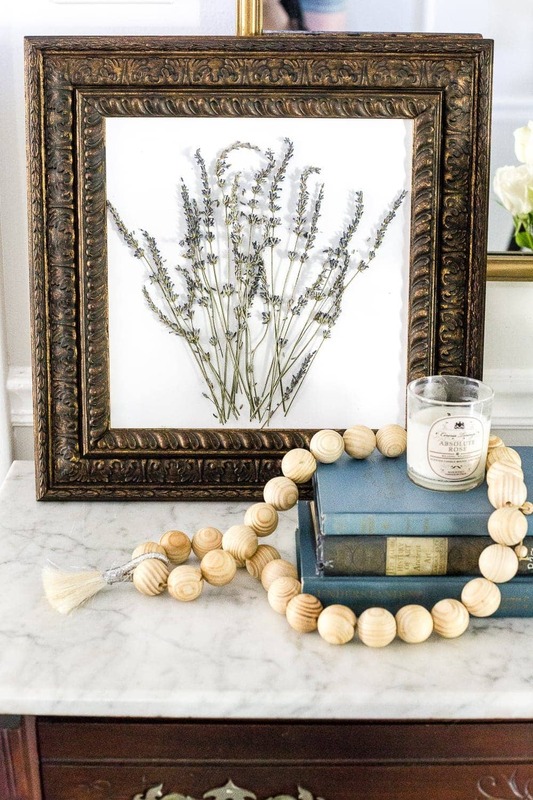 Got any other ideas for using dried lavender around the house? It smells too amazing to throw out the leftovers. 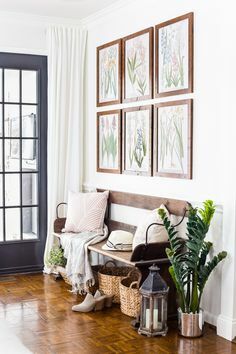 This looks so pretty in your entry. Sometimes I need to think about a simpler idea. I had lavender this year that I should have harvested for uses such as this. I’d have never thought to do this! Great idea. Thank you for sharing. I love this. Now if I just had some lavender! I’ll be on the lookout for some at a farmer’s market or maybe find some to grow myself. Thanks!! Thank you for sharing this! I love lavender, and being in the plant farm industry, I have had access to several different kinds this year. I have two matching frames that I have wondered what to do with, and this is it! In our yard we have the French Lavender and the French Pinnata Lavender. I’ll put each in the two frames and hang them together. I love your style and your blog! Been following you for a while now. Thank you for taking the time to share your findings and home with us. Make some goat milk soap with lavender in it! This is beautiful and very clever. 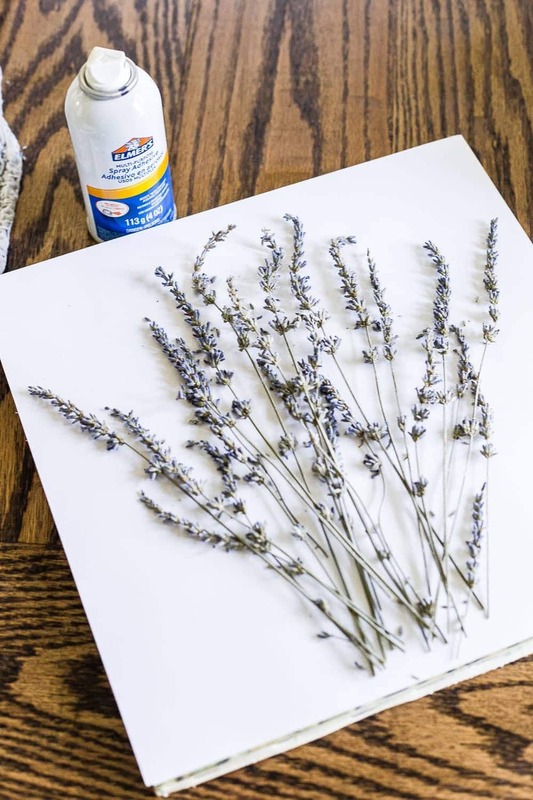 My question is whether using the spray adhesive on top of the linen paper & then on top of the lavender will remain sticky and attract dust and other things (flying things -ick) or will it eventually dry to be non-sticky? My past experience with the brand shown, and other brands, is that it remains sticky and attracts dust, etc. 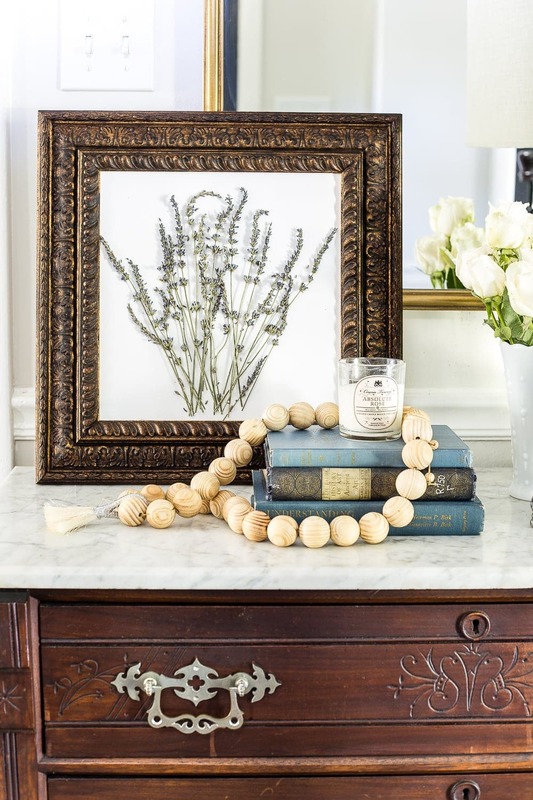 I have no idea what else could be used to adhere the lavender when there’s no glass to the frame, though. This is insanely beautiful. Thank so much for the directions. I need to check out the book! It looks really good! French style feels so romantic! 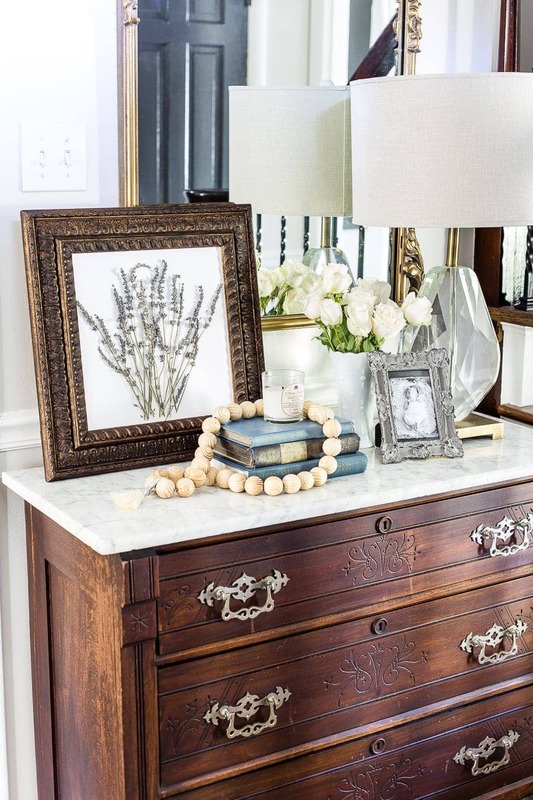 Lauren – this just feels like classic home! I love how the area is nicely put together, but I can tell that every piece means something. Walking into your home, I would think that the buffet is something that was handed down from your grandmother. I would also think that the picture frame and books had sentimental value. Nicely done! There’s something about a house that feels like a home and gives you all the feeling of comfort – and this is it! Kudos! 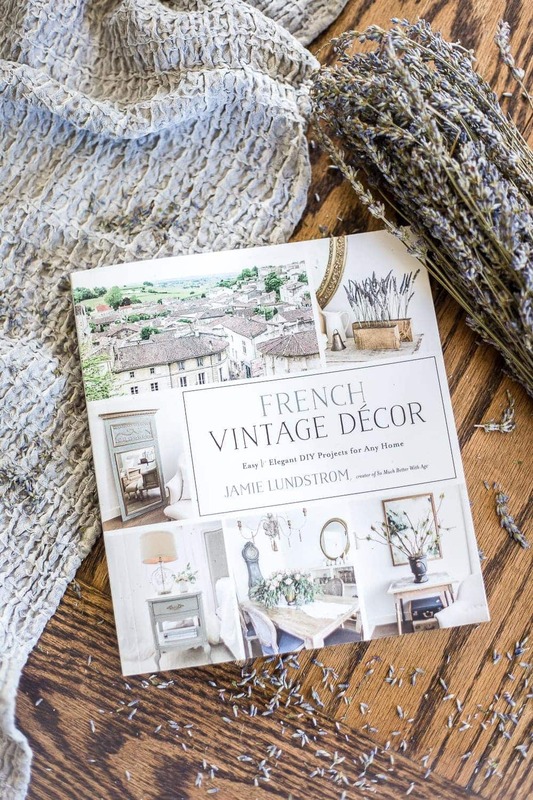 So good to hear your take on the French Vintage vs Farmhouse…..I too struggled with that…but I too decided to stick with my true “decor love” French/Romantic Vintage with a galvanized thingy here and a cotton stem there…..thanks for the heads up to Jamie’s blog!! Love yours and all the inspiration!!! So simple and French,gorgeous. Would be wonderful on any wall or table in any style home. Now need to go find some lavender.Shucks,missed the lavendar festival couple weeks ago. Will look for some dried lavender.